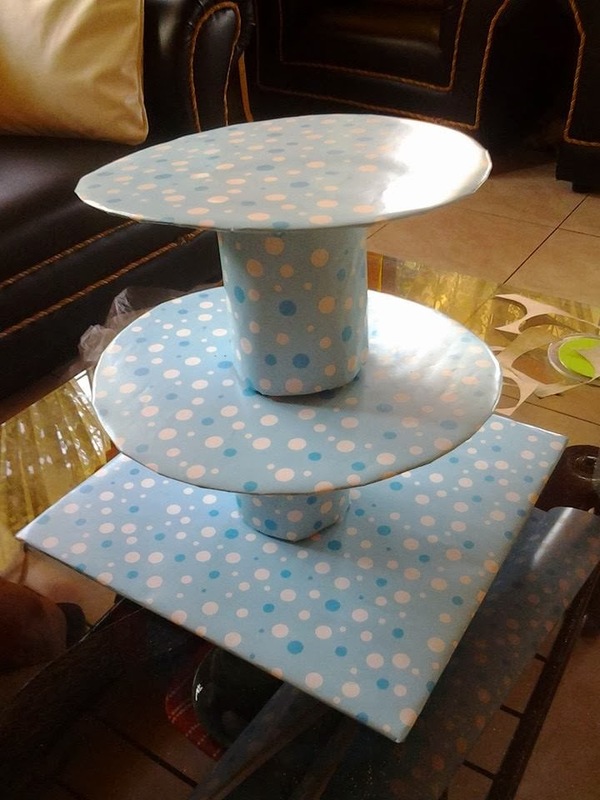 I had the chance to make my own cup cake tower during the holidays and this enabled me to save much as compared to buying a ready made one from the shop. 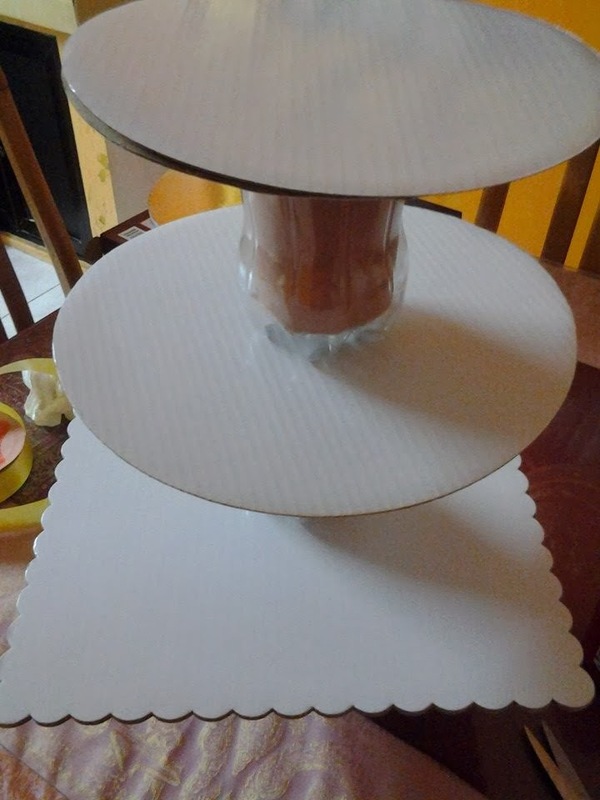 I just bought some card boards used as cake stands from the shop selling baking supplies and it doesn't even cost me a hundred pesos. 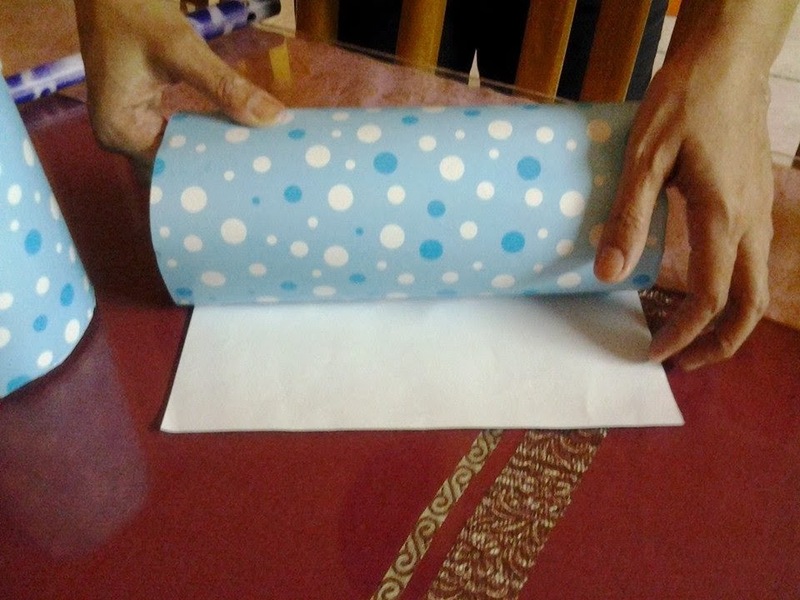 Next, I purchased some nice gift wrapping papers and blue ribbon to cover the card boards. For the stand, I just fabricate mine using recycled materials such as Coke plastic bottles, I cut the upper portion of the bottle and filled it with some newspapers and a little bit of sand to make it strong. 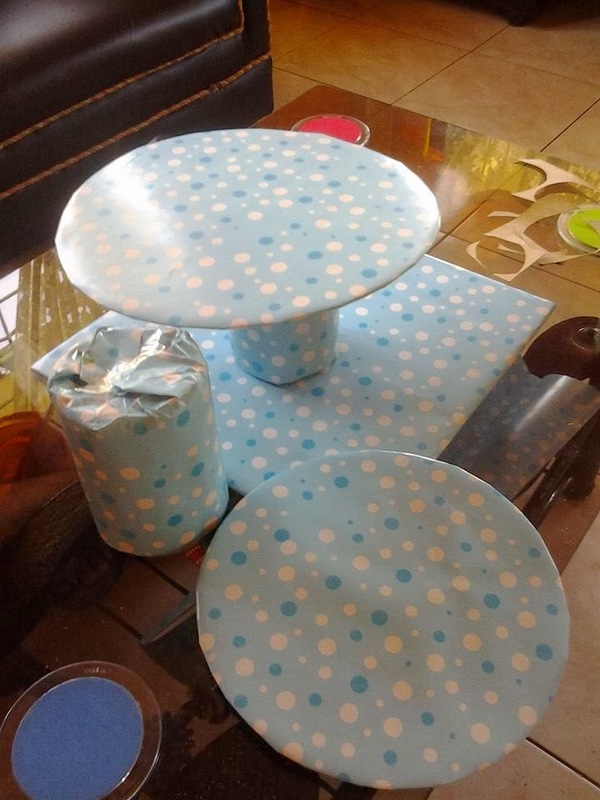 Next, I covered all the coke plastic bottles and card boards with the gift wrapping paper. This is how it would look like after covering all the materials used. Here is the outcome after I connect the empty Coke bottles with the card boards. After this, I attached a blue ribbon around the card boards to make it more attractive.